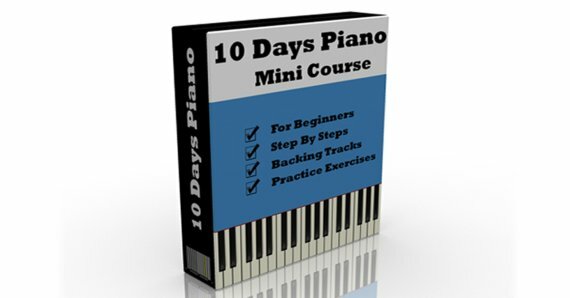 As a piano teacher, I teach a Tisket a Tasket song to my students at very early stage. Its only 9 bars long and uses only 28 notes, including 24 Quarter / Crotchet(s) , 4 Half / Minim(s). Generally played by right hand only. Totals for Rests: 3 rest(s) in 9 bars By duration: 1 Half / Minim(s) 2 Quarter / Crotchet(s). The song is very popular to kids, sounds nice and fun to play. The time signature of the song is 4/4 and preferred temp is 100 BPM. The preferred key of the song is C Major. 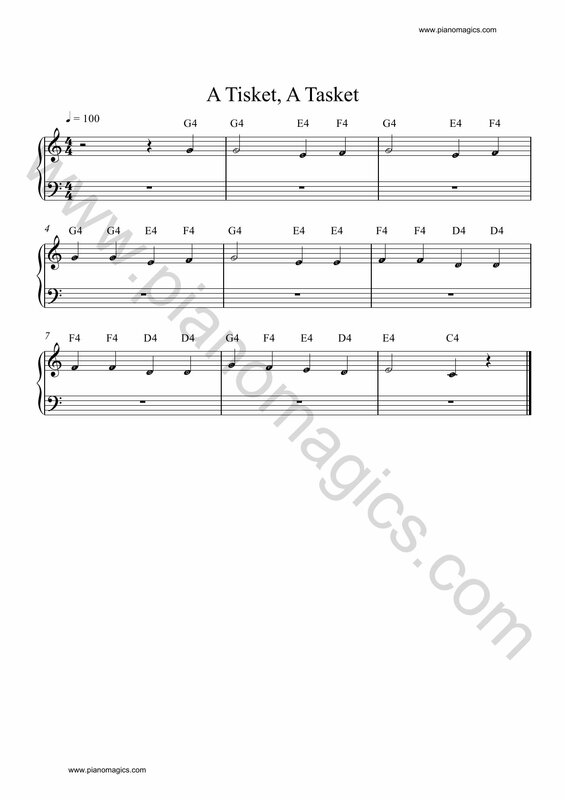 Download Sheet Music PDF file. For better understanding of the timing, please watch following video, which shows how to play a Tisket a Tasket on piano.